Buying cheap used cars shouldn’t have to mean compromising on quality, and when you shop at Kia Cerritos you won’t have to worry about that. Our used car values are among the most competitive in Cerritos, and even our most affordable used cars have been inspected for quality by our certified technicians. Check out the best used cars under $10k, and then pre-qualify for financing a used car at our dealership near Los Angeles, where we have a variety of affordable used sedans, SUVs, and more! 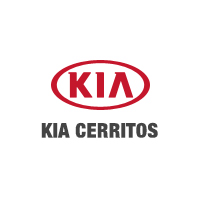 See Why Kia Cerritos Beats Other Used Car Dealerships Around Orange County! The Kia finance team at Kia Cerritos is here to help you get a quality used car on a budget. Check out our impressive lineup of cheap used cars, and get help putting your down payment together by using our value your trade app. Our dealership is located just a short drive from Southgate in the heart of Cerritos, where we also have a full Kia service department staffed by certified Kia technicians. Schedule a test drive or visit us today!